Looking for high quality sounds and lighting to make your special event more special? 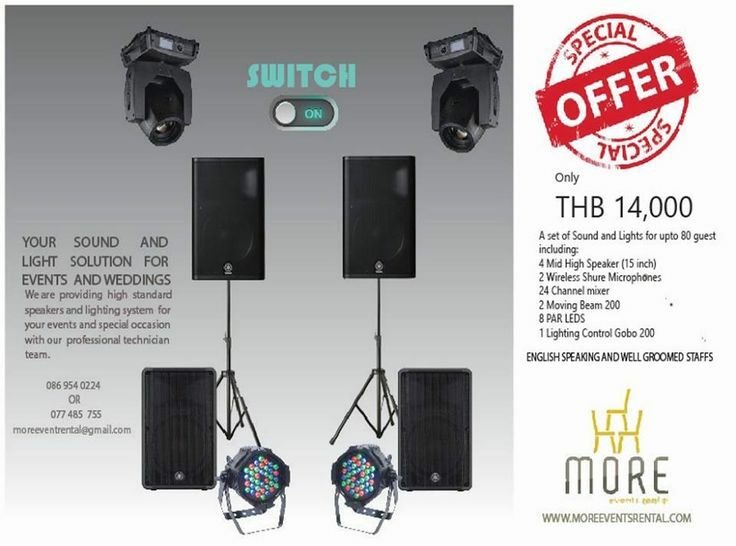 Moreeventrental is giving special offer for sound and lightings for the month of November. Hurry up and don’t miss the golden opportunity. What greater thing is there for two human souls, than to feel that they are joined for life–to strength each other in all labor, to rest on each other in all sorrow, to minister to each other in silent unspeakable memories at the moment of the last parting? This wedding is all about Yin and Yang , where their beautiful soul came together to be one and start a new phase in life. The Chinese couple who have tied this holy knot of Marriage, we wish them all the happiness and joy in the coming days and, may you creates memories which will last till the end of time. Wedding is a special event in ones life and we at Bliss Event Thailand makes sure to make your dream wedding come true and better than in every way. We are wedding planner in Koh Samui producing extraordinary Wedding in the white beaches of Koh Samui. Please contact info@blisseventthailand.com to create the your next big memories with us.